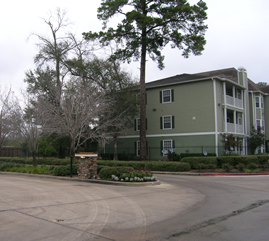 The Casa Linda Apartments (formally named August Park Apartments) is a 158 unit apartment complex built in 1986 and located in southeast Dallas. The property consists of a mix of one, two, and three bedroom apartments with an average size of 844 square feet located in 16 two and three story building on 5.12 acres. The apartments are brick and wood sidings construction with pitched roofs, washer-dryer connections, and other normal modern interior features. The property was identified as a potential “value add” opportunity by Knightvest Capital of Dallas through an off market transaction. Knightvest was then introduced to Panther Transaction Group by Northmarq Capital (Dallas mortgage broker) a long time acquaintance of Panther .We were presented the opportunity to provide the majority of the equity for the transaction with Knightvest responsible for arranging the debt component, providing the guaranty on the mortgage and funding the earnest money deposit and due diligence costs. Once an agreement was reached on the terms of our partnership with Knightvest we jointly began our detailed due diligence review. The contract called for a 30 day review and a closing at the end of 60 days. Once we approved our inspections we prepared an offering memorandum and presented the opportunity to our Panther Investor Group. The offering was fully subscribed and we closed on the acquisition on May 27, 2010. $2,650,000 or $16,722 per unit. Panther’s total budget for the property was $3,275,000 including renovation, repairs, and soft costs for an all in cost per unit of $20,728. The property was 78% occupied at closing and dropped to 70% due to our more stringent leasing requirements. After repairs and upgrades, changing the onsite management, and improving security we were able to increase occupancy to 90%+ within 6 months and began paying the investor preferential return beginning in November 2010. The investors received a onetime extra distribution in September 2011 which paid all their accrued preference to date and returned a portion of their initial investment. Monthly distributions of the 12% preference have been made every month thereafter. Current occupancy is now 94% and rental rates have been increased as planned. Our original business plan was straight forward. Casa Linda reached stabilization during our first year of ownership and proceeded to meet all occupancy and rental projections for the following year. 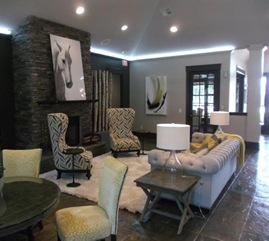 It was decided by all of the partners that the property was positioned to sell into a robust multifamily market. In the spring of 2012 Transwestern Commercial was engaged to market the asset. After a 60 day marketing campaign an out of state buyer was selected as the winning bidder. The property went under contract and after the buyers’ due diligence review sold on August 31, 2012. The sales price was $5,065,000 or $32,056 per unit. The overall IRR to the Panther investors was 23.94% with an equity multiple of 1.53 over a 27 month hold period.